Businesses have various convention facilities to choose from to host your meeting or event, including several on St. Simons Island and the new Jekyll Island Convention Center which provides a large space for corporate gatherings, with hotels, shopping and dining options located within walking distance. The Resort has been well-recognized in the meetings industry for its attentive staff, delicious food and genuine southern hospitality. The Lanier Ballroom, our largest space, can seat 220 classroom style and 240 for dinner. It can be subdivided into four breakout rooms, and also has a large pre-function area. The oceanfront Delegal Room can host 200 for banquets or 250 for receptions. 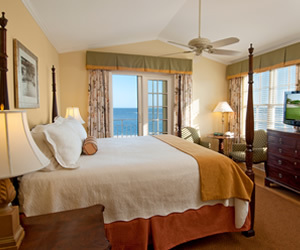 The oceanfront Retreat can accommodate 56 classroom and 80 for dinner. The historic Solarium can seat 36 classroom, 24 hollow square and 80 for banquets. The oceanfront Butler Board Room seats up to 20 people with high-back leather chairs. This exclusive 10,000-acre Georgia island paradise features seven-miles of shell-strewn beach and a host of recreational activities for outdoor enthusiasts. The Lodge on Little St. Simons Island offers elegantly rustic accommodations for just 30 overnight guests, gourmet regional cuisine and genuine southern hospitality. Special vacation packages for families, fly fishing outings and full-island reservations are available. Located On Sea Island and 5 1/2 Miles of Private Atlantic Beach. 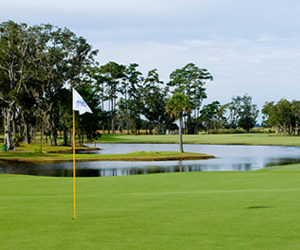 The Lodge At Sea Island offers elegant resort facilities, superior amenities and outstanding family activities with three championship golf courses - Truly a golfers paradise! 15 luxurious suites, excercise facilities, an endless pool and outdoor cooking facility with grill. Our meeting room is a state of the art meeting facility that will include video tele-conferencing, high speed internet access, video projection equipment, and flexible seating configurations including banquet, training, theater, and board room. The success of the Beach Bed and Breakfast is the model for the new Inn. The Ocean Lodge will operate as a Bed and Breakfast and features "Luxurious Accomodations - Corporate Facilities." The Saint Simons Inn by the Lighthouse Corporate Events, with its guest accommodations, is sure to make your corporate event or social event a success. The Saint Simons Inn by the Lighthouse is the perfect place to hold a corporate event such as; team building, sales meetings, board of director meetings, or just corporate hospitality. Sea Palms Resort is St. Simons largest meeting facility. The Conference Center offers a total of nine meeting rooms. The Main Ballroom can seat a total of 320 banquet style and 400 theatre. Musgrove A/B and Cypress A/B are located directly across from the Ballroom, each room breaks into two separate sections. These rooms are great for smaller meetings or break out sessions.